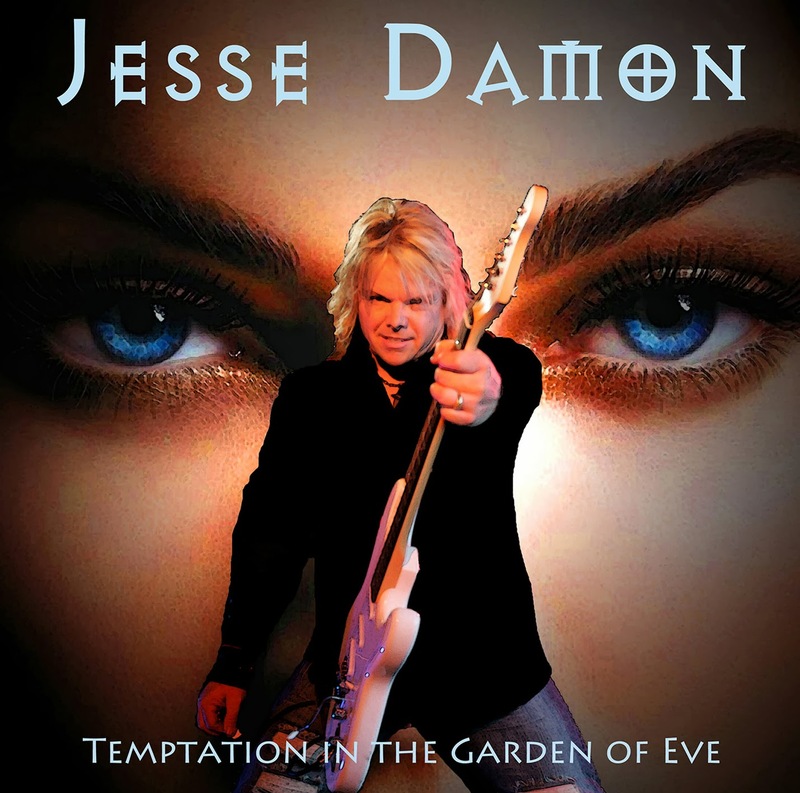 RockUnitedReviews: Jesse DAMON: "Temptation In The Garden Of Eve"
I was waiting for this album with much anticipation so it had a lot to live up too. With Paul Sabu on production and also bass duties for that matter, it had all the boxes ticked theoretically. Well after having spent time listening to this release I can honestly say I'm not disappointed. Out of the four Jesse Damon solo albums, this is by far the best. Okay I'm a big fan of Jesse's work both solo and of course with Silent Rage, but the production on the earlier releases is by no means on par with this release. It's an album of two sides, by which I mean there are tracks that are most certainly Jesse solo material, and tracks that would easily slot straight into a Silent Rage album. The production is big, full of punch and space. All too many albums these days sound either compressed or overblown. Not so with this. Having Pete Newdeck (Eden's Curse/Tainted Nation) on drum duties and backing vocals helps fill the tracks with a real element of depth. I absolutely love the late 80's style keyboards courtesy of Eric Ragno, who lets face it can be found on so many great albums. A prime example would be the second track on the album, "Black Widow". To sum up, if you love that late 80's style but with a modern twist then I can wholeheartedly recommend this.